The program is physical, mental and tactical. In a creative framework, BHA training is both challenging and rewarding, ensuring that each player has the best opportunity to reach personal goals and accelerate their development. Drawing from some of the latest teaching techniques as well as time-tested methods, we aim to improve every athlete’s strength, speed, power and skill. Each player’s individual skill set is attended to. From power skating and puck handling to game systems and team tactics; every athlete at the BHA will be encouraged to become faster, stronger and smarter. Founded in 1973 Hyland Hills Hockey Association (HHHA) is the largest hockey association in the Northern Denver area. 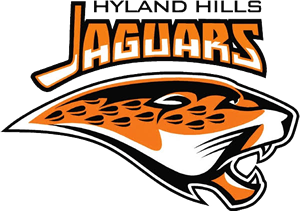 © Hyland Hills Jaguars. All rights reserved.